Pando: Steve Blank explains why accelerators should mimic "Moneyball"
Steve Blank explains why accelerators should mimic "Moneyball"
Steve Blank has given a lot of presentations in his day. But he says he's never experienced anything quite like what happened a few weeks ago in New York, when he presented his ideas around his Lean Launchpad to an audience. Every person in the audience had access to copies of his slides, and they were all taking notes. But the minute he opened up one particular slide, half of the crowd took out their smartphones to snap a photo of it. "I realized it must be a pretty good slide," Blank says. "It was a lightbulb for us all." The slide outlined Blank's theory on data-driven startup investing. 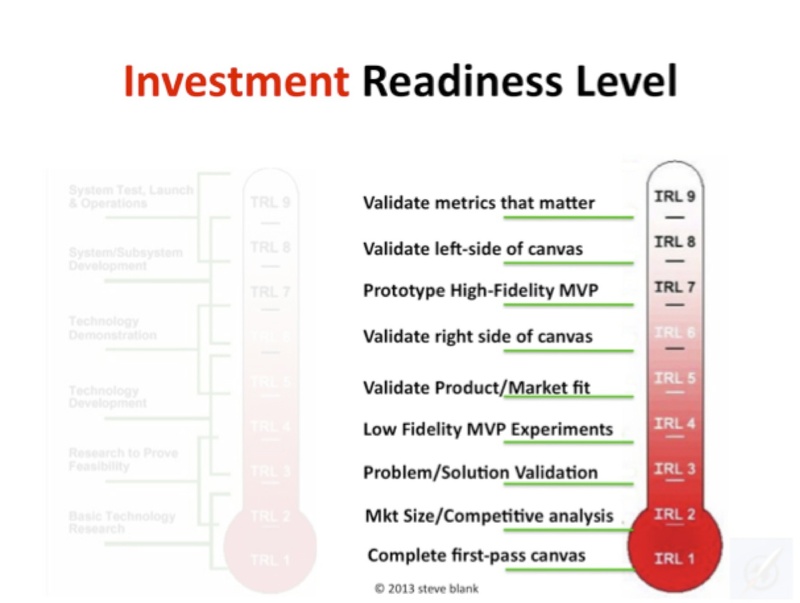 He developed a method, which I'll describe below, using a tool called the Investment Readiness thermometer. He believes that startup accelerators and maybe even venture investors will start using a version of it to prove their effectiveness and make investment decisions. That's because the current model for connecting startups from accelerators with investors -- demo days -- is broken. Blank has called accelerator demo days "beauty contests in bikinis for investors," arguing that the events incentivize startups and investors to focus on the wrong things. I'd recently made the same argument after speaking with a number of investors who suggested we kill the demo day and replace it with a one-year reunion. Demo days are a mistake, because they're predicated on getting teams funded by giving snazzy presentations that use the right fonts and adult voices, Blank says. It has nothing to do with what the startups learned in the accelerator program. In fact, a startup is not incentivized to admit that its initial thesis upon entering the program was wrong. That song and dance is no longer necessary, though, thanks to data, Blank says. "We now know a lot more," he says. We're going to stop talking about demo day, and the metric is, 'How great was the demo in a minute and a half?' and start asking 'What did they learn?' and 'How did they get to this demo?' and 'Where are they going?' However, demo days are not a symptom of a larger illness within incubators and accelerators, Blank says. Overall, the programs themselves, which offer intense mentorship to startups for around three months, are a positive. But, having enjoyed a hearty revival in recent years, incubators are in the early days of their evolution, and they need to keep evolving. He has had a front-row seat to how effective accelerators can be with his participation in NSF Innovation Corps, the incubator run out of the National Science Foundation. Congress mandates that every government entity which funds research must spend 3 percent of its budget on commercialization. The NSF writes $3 billion in grants per year, so that leaves plenty to invest in making scientific research into real businesses. Last February, Innovation Corps was given a $20 million budget. The Innovation Corps has an accelerator program, which was once optional for companies growing out of National Science Foundation-funded projects, Blank says. But after measuring the results of the companies, the NSF decided to make it mandatory. No surprise why: Teams that went through the accelerator got funded 60 percent of the time. Teams that didn't go through the accelerator, who have been, in Blank's words, "sucking down standard government loans for the last God knows how long," got funded just 13 percent of the time. The data, which includes details like the number of hypotheses tested, the number of customers met with, and the number of "pivots" from 300 teams, proved that the Innovation Corps had figured out what to teach startup founders to get them to the next step of commercialization. It was the first time anyone had gathered quantitative evidence on the methods of accelerators, Blank says. This caused him to look at how regular accelerators were working today. And that led Blank to the "Moneyball" idea. He draws inspiration from the Michael Lewis book, in which Oakland A's general manager Billy Beane uses data and analytics to predict which baseball players would perform the best, eschewing the old-school way of relying on gut instinct and media hype. 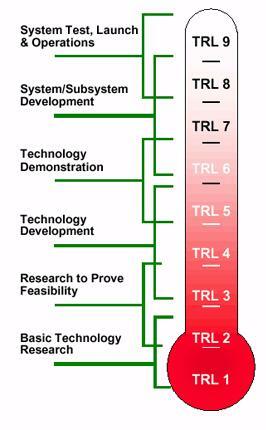 Blank's other inspiration is a "technology readiness level" thermometer used by NASA and the Dept. of Defense. The thermometer measures how advanced a project is. A project at level zero is a theory. A level one project might have a prototype working in a lab. A level nine project is ready to be launched on a spacecraft. Blank realized that this form of ranking could be applied to startups, too. Using the same data points tracked by the Innovation Corps companies, he could measure a startup's level of "investment readiness." This is what he believes the next wave of accelerators will focus on over demo days, and the source of the much-photographed slide. Blank uses the Billy Beane strategy of data and measurement. He argues that startups following this path are statistically more likely to raise venture capital and succeed. It's not the first time that the "Moneyball" comparison has been applied to startups. Venture firms, such as General Catalyst, argue that data from social media can influence a VCs decision to invest and even identify potential investment opportunities before they're knocking on the firm's door. There's also those that take the "Moneyball" theory to mean "base-hits over home runs." Traditional venture investing states that it doesn't matter if 90 percent of all startups fail, as long as the 10 percent of winners go gangbusters and make up the entire fund's returns. But now, with the cost of starting a company so low and large companies buying up startups at earlier (and lower-cost) stages, some VCs start out looking for base-hits. At 500 Startups, Dave McClure posits that making many small bets may not create the big blockbuster billion-dollar exits, but they'll offer up a lot of solid $25 million to $50 million exits. McClure's approach is to invest as early as possible based on gut instinct, because companies with visible traction will demand too high of valuations. "INVEST EARLY at LOW COST in people you think are smart and have built some promising products," he writes. Obviously the "Moneyball" method isn't perfect for startups -- baseball results are measured in wins and losses, and investment results are measured on multiples that go from zero to billionaire. Blank's approach is meant more for startups trying to raise money than for investors picking companies. And he presented his ideas with a standard caveat. Picking startup winners and losers takes more than quantitative data, he says. There is something to be said for instincts, whether it's picking stocks or backing founders based on how passionate they are. But the move toward data and measurement will help innovators, particularly in life sciences and biotech. Blank's data-driven approach is helping scientists in programs like the Innovation Corps get the attention of Valley investors, who've been smitten with social media and consumer Web apps for the past seven years. "The bigger idea is that there might be other places to put money that might be of interest to investors in the next year," Blank says. Blank's point is that data helps investors understand some of the outcome, which also gives them the ability to measure the outcomes. For example, it is impossible to dispute that startups who speak with hundreds of customers perform better, he says. The data proves that. Social media has delivered the best short-term returns to investors -- you can't fault them for pouring millions into the sector. But the Innovation Corps, Blank says, was, "the first step in kind of like saying, 'Screw you guys. We're going to at least do the seed rounds in these guys and get them to a state where they can walk into your office and not babble about technology but talk about customers, market segments, review models and whatever." Talking to investors is not something scientists are used to doing. Blank is using a scientific approach to show them how.